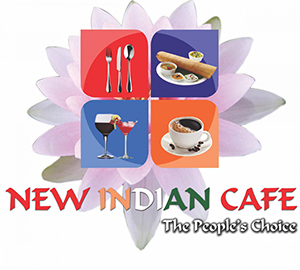 Online ordering menu for NEW INDIAN CAFE. We are dedicated to serving excellence to people who want simple, delicious Indian variety foods. We strive to give our customers the best experience possible. Using only the freshest ingredients and serving them in a warm, comfortable atmosphere, each meal spent in the company of our friendly staff will always be a pleasurable experience. We are also devoted to making sure you don’t go home hungry. Our portions are as large as our desires, and even though we’re a small restaurant, there is nothing small about our service and quality. Our appetizers include Egg Bonda, Fish Amritsar, and Pepper Chicken Wings. Our Rice & Noodle dishes include Goat, Egg, Lamb, and Shrimp Biryani. Visit us today for a great meal at a more than affordable price. We guarantee you’ll be back for a second helping soon. We are located east of I-25 at the corner of Clinton St. and Costilla Ave. We're near the Arapahoe Marketplace and Heritage Place Shopping Center. Order online for carryout or delivery!